We all like to play virtual reality games. However, it’s quite hard to find a good VR game to keep you on your toes. In this list, we’ve done some extensive research to bring you the 10 best virtual reality games for VR headsets. Some of them are multiplatform games, others are restricted only to a certain VR headset. Enjoy! Out of the ten finalists on our list of the best virtual reality games, five of them proved to be superior. Take a look below! If you’ve played Slender: The Eight Pages, then you know that this one is going to be even more epic. The game in itself is very simple: you play as Lauren who visits her friend, Kate, only to find that Kate is missing. You’re now on a search & rescue mission. However, the problem is that the game is so intricate that you really have to struggle to not die. Its high tense action leaves you only with a flashlight and, somewhere within the game, a camera. That’s all the protection you’re going to get. So prepare yourself for an Oculus VR experience. Watch for those corners, someone might be lurking within the dark. 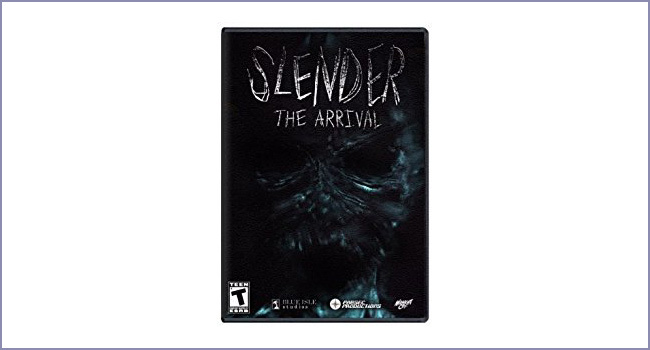 The Slender game is sold at $9.99 price on Amazon, and is exquisitely done and it’s among our most favorite virtual reality games to play. Similar to Eve: Valkyrie, Elite: Dangerous is an open-galaxy sci-fi game that puts you in your own ship. It has a complex control system and, even before taking on missions, you must learn to handle, or use, many other systems as well. There are different types of missions, such as transporting cargo, doing dogfights and many others of the sorts. Without being specially developed for virtual reality, this one sits among the best virtual reality games due to the complexity of the maps, the gaming style, and the game in itself. 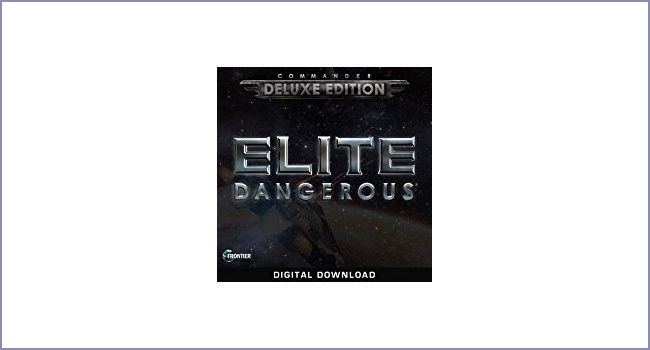 Although heftier, at $48.86 on Amazon, Elite: Dangerous is both a must buy and a must play. You can thank us later. This is, besides Resident Evil 7: Biohazard, a true marvel among the best virtual reality games. In The Assembly, you can play as one or other of two characters for a groundbreaking corporation that seeks to push the limits of humankind beyond its current limits. However, perfection comes at a cost. The game is moral challenging, it involves you exploring the facility and solve the puzzle. Or at least try to. There are two scenarios: you either save lives or your actions will lead directly to catastrophe. It will keep you up on your toes and the suspense will only add up to the tense action that this game contains. Highly acclaimed, you won’t regret playing it. Don’t let the small price tag fool you: at only $24.42, the game is a small wonder for the VR world. Enjoy. 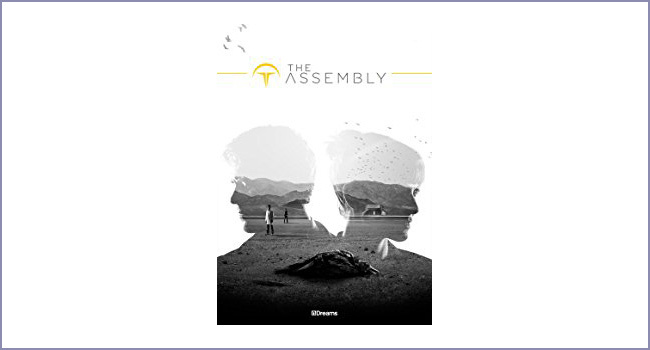 The Assembly is available on Amazon. OK, this isn’t technically a game, rather a truck simulator. And what can be more intriguing than to come home after a hard day’s work and, well, work some more? That’s right: drive. The main concept of the game is to simulate driving an 18-wheeler truck. It is tailored more for the senses, not for the action. You can look around, even open the window and “feel” the breeze going through your hair. Although cheap, at $20, this is a pretty soliciting game, especially when hauling cargo around for hours and hours. 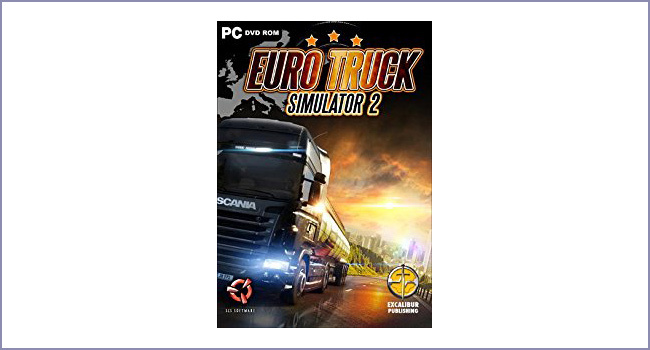 Check to see if the Euro Truck game is still available, for it was a bestseller on Amazon. This is 50-years in the future, when humanity is extinct. You play an eagle. Yes, that’s right, an eagle here to defend your own turf. Explore the wondrous Paris from the perspective of an eagle. Play both single-player and multi-player missions in which you fly, attack, defend and grow wings. This game is a multiplatform one, available for PSVR, HTC Vive and Oculus Rift. 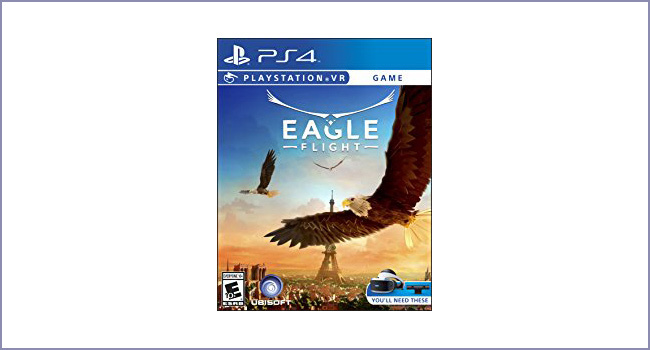 Buy Eagle Flight on Amazon for $34. This bundle of 5 games is worth mentioning, for it contains some of the best virtual reality games promises that come with the PlayStation VR headset. The leading titles are London Heist and Ocean Heist. Along Danger Ball, Luge VR, and Scavengers Odyssey. You’re either a mobster stealing a diamond, an ocean explorer in the depths of the ocean, an alien looking for an ancient artifact or an illegal racer riding a luge on the highway. Sounds like fun, right? Well, it is! The only problem is that these games are more of an introductory note, therefore don’t expect much of a gameplay duration. However, these are promising titles, which could very well be turned into standalone titles in themselves. 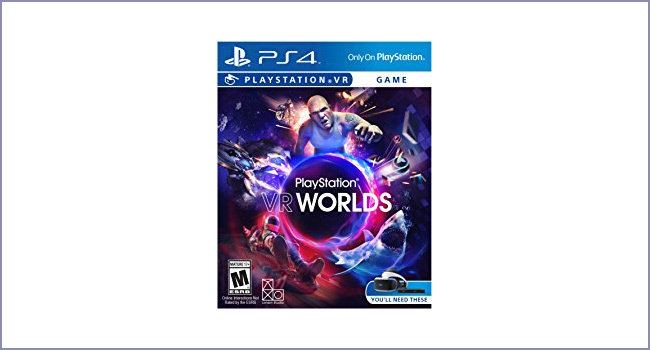 And at almost $36, PSVR Worlds is worth to try them in your new VR personas. This one is from Cyan, the producer that made Myst, for those who know what we’re talking about. In this here game you’re out one night walking, when a UFO (unidentified falling object) falls from the skies and transports you somewhere else across the universe. Here, you have lots of pieces from Earth in different shapes, sizes and from different eras. It’s up to you to solve the puzzle and make this new-found world your home. Be careful, though, for every choice you make has direct consequences on how the game unfolds. 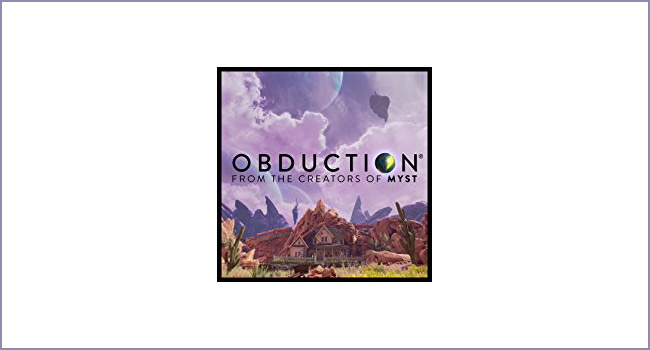 Obduction is only $29.31 on Amazon, but it has beautiful craftsmanship video detail and well-thought story plot. This is definitely one of the best virtual reality games to come out this year. This is a small spin-off from the Eve: Online epic game. In this game, you’re put into the cockpit of a spaceship and thrown into a whirl of dogfighting gaming. The main plot of this game is that you fight in deep space. Best suitable for Oculus Rift, this game can be played on other VR platforms as well. So enjoy the trip. Sadly, of course, it might not offer long term thrills, but whenever you want to challenge your friends to see who’s the clear winner, put on the headset and roll through the vast universe. Of course, the price of this game is rather high, at almost $60, but it is well worth it. 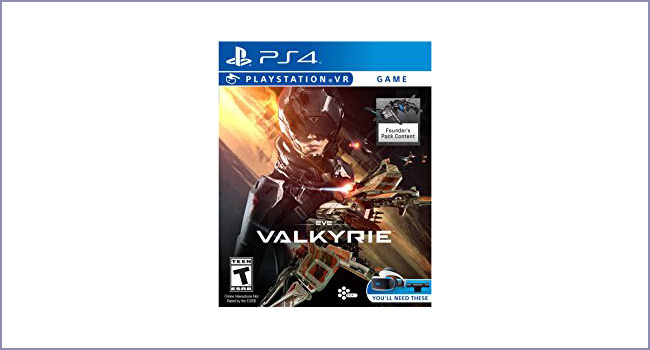 On Amazon, the Eve: Valkyrie is for PlayStation VR, however, you can buy it on other platform stores too. This game has a more detective feel to it. Made specially for the PlayStation VR console, this story mission-game will knock you off your feet with its almost noir atmosphere, as you play under the Dark Knight’s mask. Buckle up, because this will have you on the tips of your feet in no time. Just a tip: Joker’s in this, and at stake are the lives of those closest to Batman. That is, to you. This game is one of the best virtual reality games that you can enjoy in a 90-minute adrenaline-giving and intense gameplay. 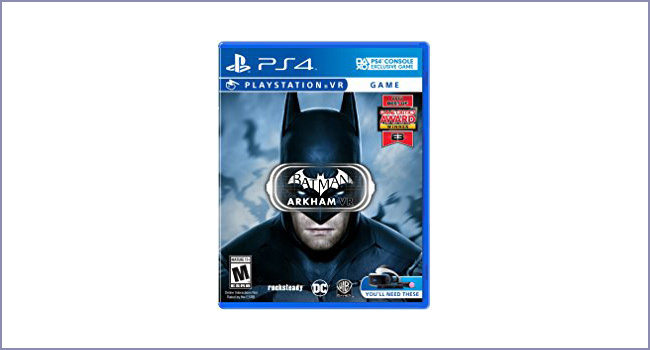 Batman Arkham VR is $22.98, but you’ll find other buying options too. We all know the Resident Evil franchise. It has set a cornerstone for the gaming world in general and the horror genre in particular. Although you can play Resident Evil 7: Biohazard on almost all types of platforms, to play it in first person is mind blowing. Your name is Ethan Winters and you’re searching for your wife. She’s been missing for 3 long years. Now, turn out those lights and put the headset on. It’s time for the boogie men to come out and play. Caution: this is not for those who are faint of heart. Watch out for those mean and evil people who want you dead. And, maybe, you’ll succeed. Also, plot twist: the game has a twofold ending, based on your decisions. 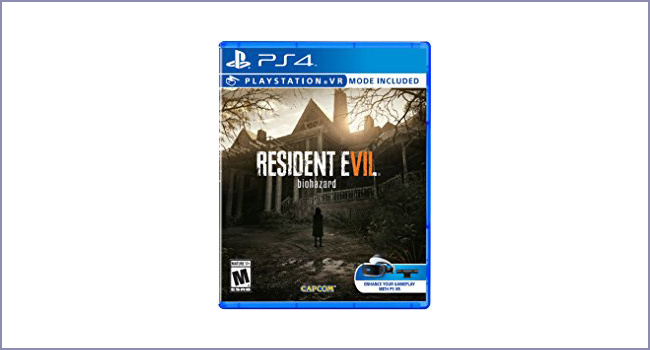 Priced at approximately $60, Resident Evil 7: Biohazard isn’t cheap, but we assure you that it will be worth every minute of it! Here you have 10 of the most awaited VR games that will blow you right away. Our recommendation is definitely Resident Evil 7, for its astonishing graphics, plot, narrative and gameplay. Of course, the others are worth playing too. What are your thoughts regarding our list? Do you have suggestions, questions or comments? Let us know in the comments section below. And hit the subscribe button for our VR information & reviews newsletter.